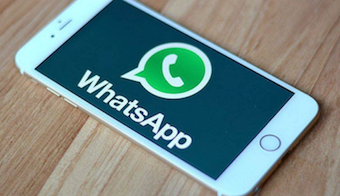 Want to extract WhatsApp messages from iPhone backup but don’t know how? 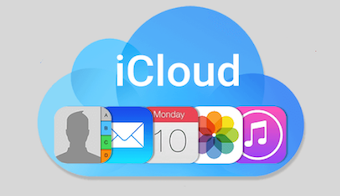 In this guide, we will separately show you how to extract WhatsApp messages from iTunes backup and from iCloud backup. WhatsApp gives users a convenient way to communicate with friends and family. 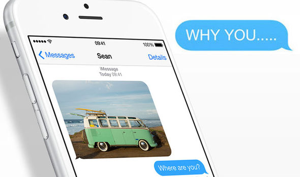 You can instantly send text messages, photos, videos, audios, locations, and contacts to others. But there is a chance that we may delete some important conversations mistakenly. If you have created backup via iTunes or iCloud in advance, you can restore your device from iTunes or iCloud backup directly to recover deleted WhatsApp messages from iPhone. 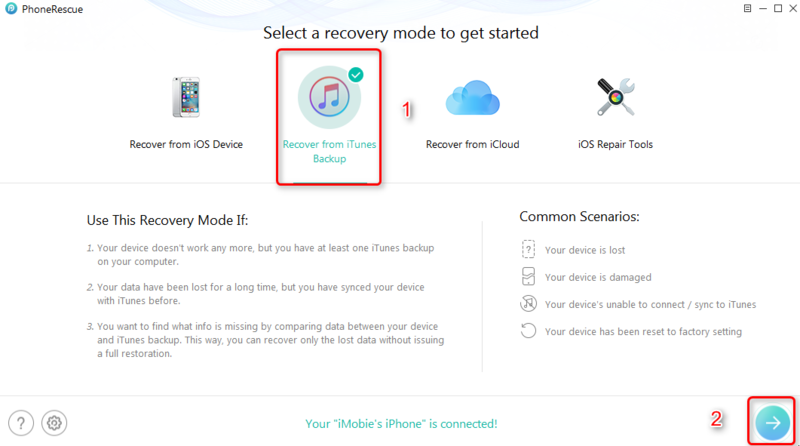 Therefore, in this guide, we will not only show you the traditional iTunes/iCloud backup restoring methods, but also show you another way to recover deleted WhatsApp messages from iPhone backup without erasing the previous data. If you have made an iTunes backup before, and you’re quite sure that the iTunes backup contains your deleted WhatsApp messages, follow the steps below to extract WhatsApp messages from iTunes backup. Step 1 Launch iTunes on your computer and connect your iPhone or iPad to the computer with a USB cable. Step 2 Select the device icon when it appears in iTunes > Click Restore Backup button > Select the backup you made and click Restore. You must clear that if you deleted WhatsApp messages since the last iCloud backup, and you didn’t do it again, then the iCloud backup may not include your deleted WhatsApp messages. Once you chose a wrong iCloud backup to restore from, you not only can’t retrieve your WhatsApp messages, but lose everything, as all the existing data will be replaced by the backup files. 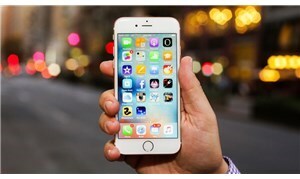 Step 1 Go to Settings on your iPhone or iPad > Tap on General > Reset > Tap Erase All Content and Settings option. Step 2 Reach the Apps & Data screen and tap Restore from iCloud Backup > Sign in your iCloud account > Choose backup > Select the iCloud backup contains your deleted WhatsApp messages. 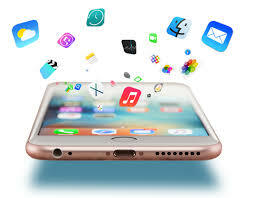 To extract WhatsApp messages from iPhone backup without wiping data, all you need is a powerful and safe iPhone backup browser that is capable of extracting all WhatsApp messages you deleted. PhoneRescue for iOS is just the exact tool, which helps you to preview the backup files and check whether your deleted WhatsApp messages are stored there or not. 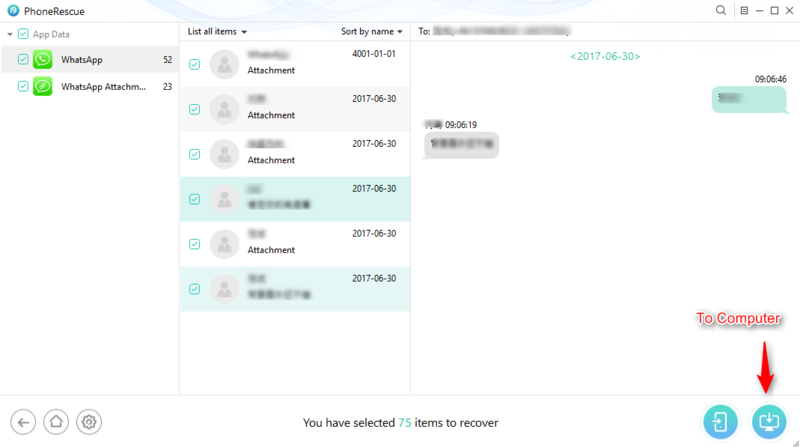 Then locate the right backup and extract the WhatsApp messages and attachments (photos, videos, etc.) to iPhone. 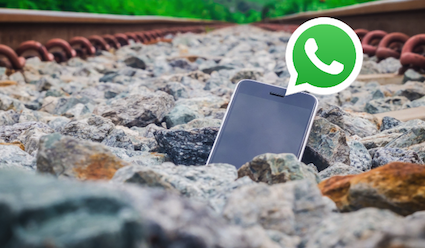 Moreover, PhoneRescue for iOS allows you to recover WhatsApp messages from iPhone directly if you have no backup available. Now, let’s check how to extract WhatsApp messages from iTunes backup without any erasing data. Step 1 Free Download PhoneRescue for iOS and run it on your computer > Connect your iPhone to the computer via a USB cable > Select Recover from iTunes Backup mode > Click Right Arrow button to continue. 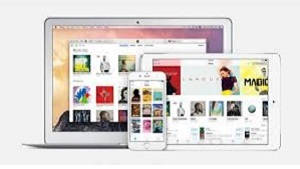 Step 2 Select an iTunes backup, click the Arrow button. Click Only Scan Backup if you just want to view iTunes data. 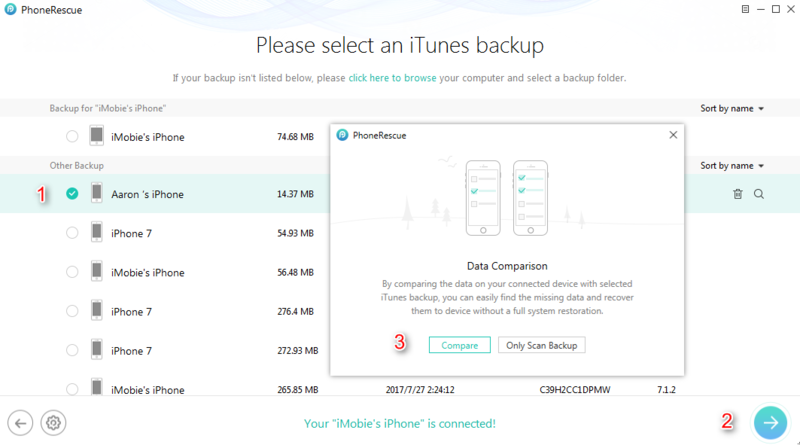 Tap Compare if you want to compare the data between iPhone and iTunes backup. Step 3 Select WhatsApp and uncheck other boxes, click OK.
Before the scanning process, if your iTunes backup is encrypted, you need to enter the password to unlock your iPhone backup so that PhoneRescue can scan backup data. 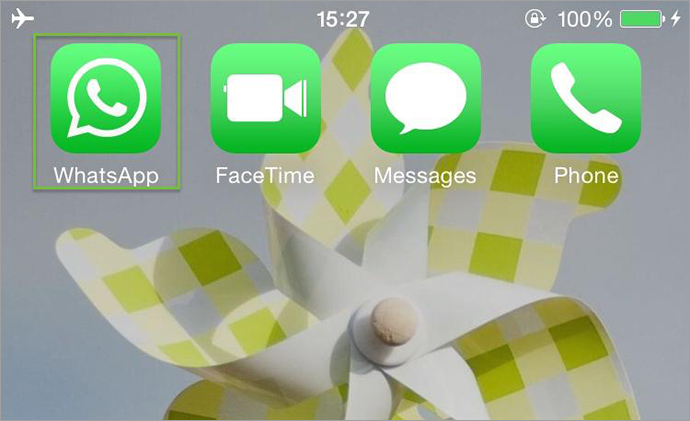 Step 4 Now, WhatsApp messages in iTunes backup would be displayed. Select messages you want to recover, click To Computer button to save selected WhatsApp messages in printable formats. PhoneRescue for iOS supports more files’ recovery, including photos, text messages, iMessages, notes, contacts, call history, reminder, Safari bookmark, etc. 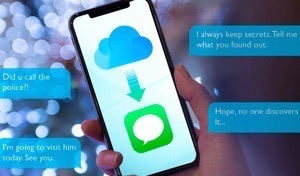 PhoneRescue for iOS enables you to access your WhatsApp messages in iTunes and iCloud backup, and allows you to easily extract them to your computer or iPhone. 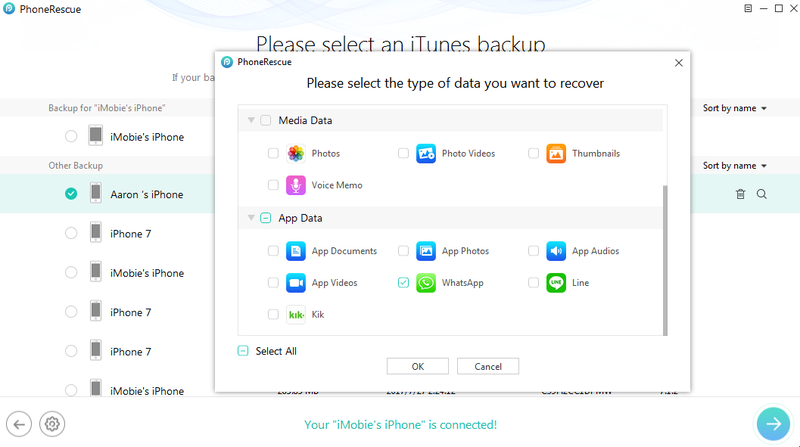 If you don’t have any available backup, you could still get back the lost files from device directly with PhoneRescue for iOS. If you still have any question about this guide or PhoneRescue, please contact our support team via Email, we will reply to you within 24 hours. If this guide is very useful, don’t forget to share it with your friends. Now have a try on PhoneRescue. Member of iMobie team, an optimistic Apple user, willing to share solutions about iOS related problems.